It is time to get yourself a slice of the bonus bucks action with Butlers Bingo today. Butlers Bingo is prepared to offer you one of the better bonuses in the online bingo world. The Butler is ready to cough up the goodies, just as soon as you decide to deposit as a new player at the domain. After registering as a new player at Butlers Bingo, and making a deposit of just a tenner, you can get a 25 BBz deposit. Double that deposit to £20, and you can claim a 50 BBz bonus. With a £30 deposit, you can claim a 75 BBz bonus, whilst if you make a £40 deposit you can claim a 100 BBz deposit. On every single deposit you make after that initial one, you can claim a re-deposit bonus worth 10%. This means that for a deposit of just £10, £20, or £50, you can claim re-deposit deals of 1 BBz, 2 BBz, or 5 BBz. 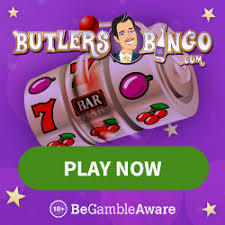 Butlers Bingo also carries other offers and deals which you may wish to take a look at, but the most appealing ones by far are the welcome bonus offers. Amongst the other offers are daily promotions, weekly promotions, monthly promotions, loyalty based bonuses, winner deals, and testimonials, as further deposit offers which are handed out periodically to players. Some of the more exclusive offers include the Spinner Room – which is a private and exclusive bingo room, open from 5pm until 11pm, and where you can win tickets with your BBz or cash. There is also a £5,000 Bingo PJP game which runs at the site, and promises a pot worth at least five grand. To make sure that you are in with a chance to win big, make sure you choose to play at Butlers Bingo this February.